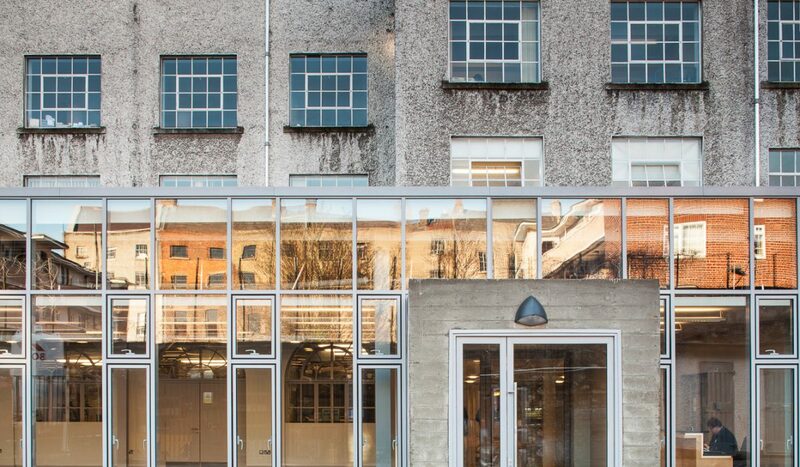 DIT Linenhall was until recently exclusively the site of the Institute’s School of Construction Trades. 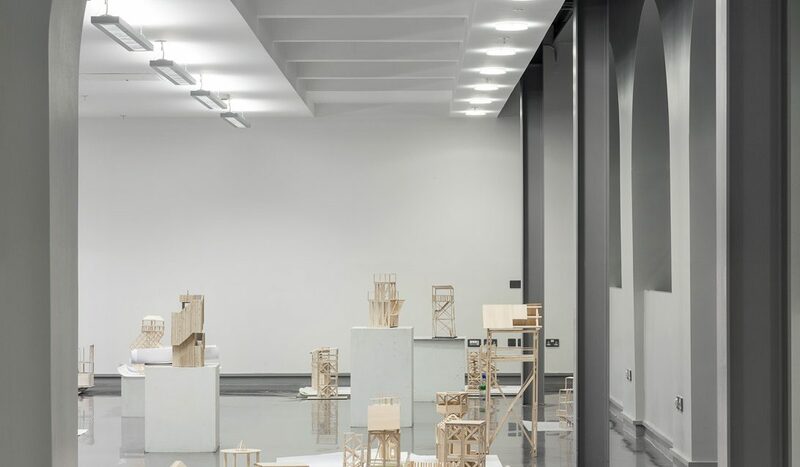 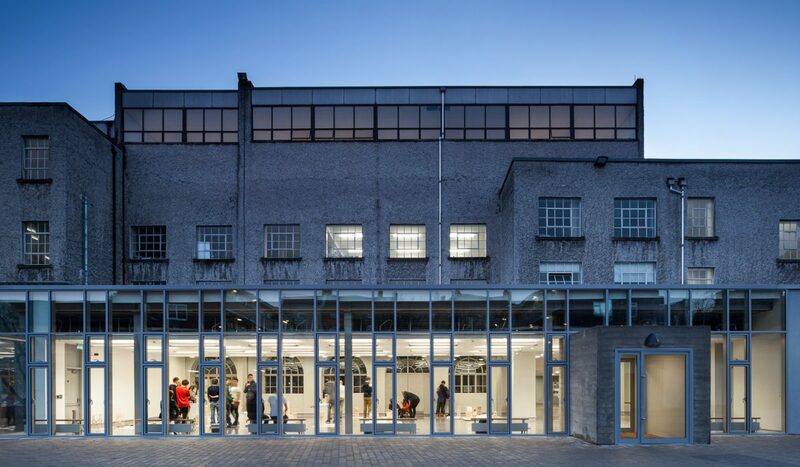 The new Foyer gallery and approach illustrated here is for the newly established Schools of Architecture and Construction which concludes a process of transferring the School of Architecture facilities from DIT Bolton Street to DIT Linenhall. 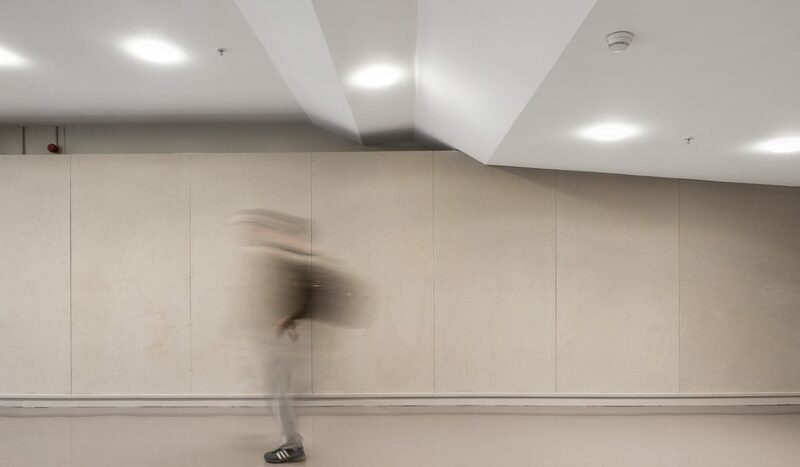 This process was undertaken in tranches over five years and has involved several design teams and building contractors. 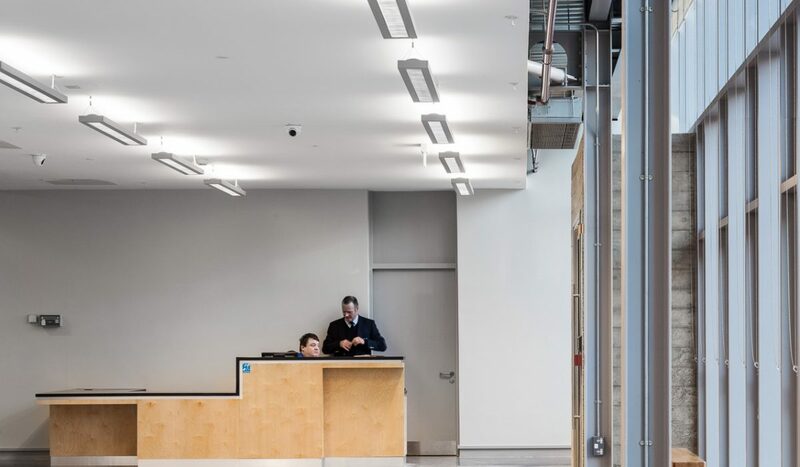 The interior of the existing building was completely altered to accommodate the conjoined facilities and the most recent work has been designed by DMOD Architects to ensure the highest possible standards of safety, accessibility and energy conservation.